Our Knutsford carpet and flooring showroom has some fabulous, fashionable Axminster Carpet™ samples to inspire your home style for 2018. From patterns to gentle colours to carpet that’s as comfortable as it is luxurious; some of the styles are so lovely, we just had to blog about them and share why you should consider Axminster Carpets for your home next year. Showing: A modern bedroom finished with Axminster Carpets Devonia Plains in Cream Tea. With names reminiscent of some of our favourite British past-times and days out such as Apple Picking, Rock Pooling and Picnic, Hazy Days is a beautiful collection of 30 pure wool carpets in an assortment of designs, with a subtle, neutral palette. The versatile colours of soft grey and dove pink are perfect for combining accent colours for truly sophisticated and personal interiors. With elegant geometrics and a luxurious texture underfoot, we defy you not to be able to find a pattern in this collection that you’ll love! The Hazy Days carpet comes in 3.66m widths, is made from 100% wool and is ideal for extra heavy domestic use. Showing: Axminster Carpets Flower Picking in the Hazy Days collection. The Shoreditch collection from Axminster Carpets celebrates all that’s great about pattern and will undoubtedly enrich your home. The quality of the craftsmanship is evident with the high density, Wilton float weave used to create a flat, even, soft texture underfoot. With five patterns to choose from, such as herringbone, geometrical patterns and florals, each is available in a choice of modern colours. From ashen beige to Egyptian dark cotton and light grey, colours allow versatility with interior styling. 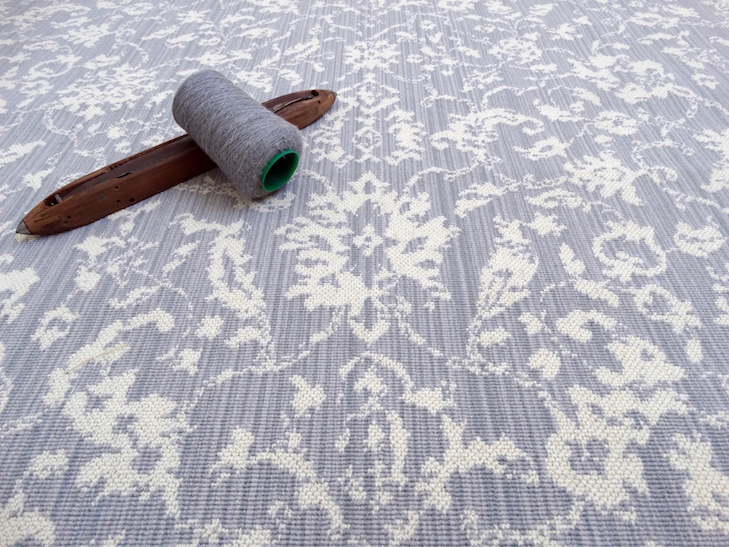 Our favourite has to be Duchess – a stunning pattern that showcases Axminster Carpets’ revolutionary concept in carpet design, creating a knitted crochet, beautifully textured effect for the most luxurious feel. The Shoreditch carpet comes in 4m widths, is made from 100% wool and is ideal for heavy domestic areas. 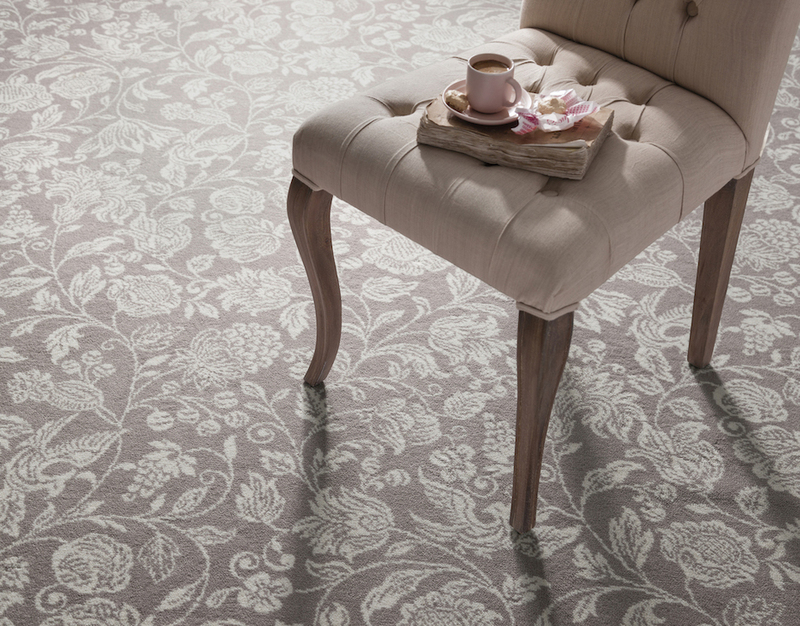 Showing: Duchess in the Shoreditch collection from Axminster Carpets in colour Itschner Light Grey. There’s always a colour that will make a room in your home, whether it’s a rich red, a calming blue or a neutral, modern cream. And with the Axminster Carpets Devonia collection, solid colours come in a high quality, tufted, wool rich mix. From creams to greys, yellows, pinks, blues, greens and even more colours to choose from, this luxurious range of plain carpets has a shade to suit every need. Add beauty and warmth to your room with a colour from the Devonia Plains collection and tell all your neighbours you’ve got an Axminster Carpet™! The Devonia Plains carpet is an 80%/20% mix and comes in 4m & 5m widths, is made from 100% wool and is ideal for extra heavy domestic areas. 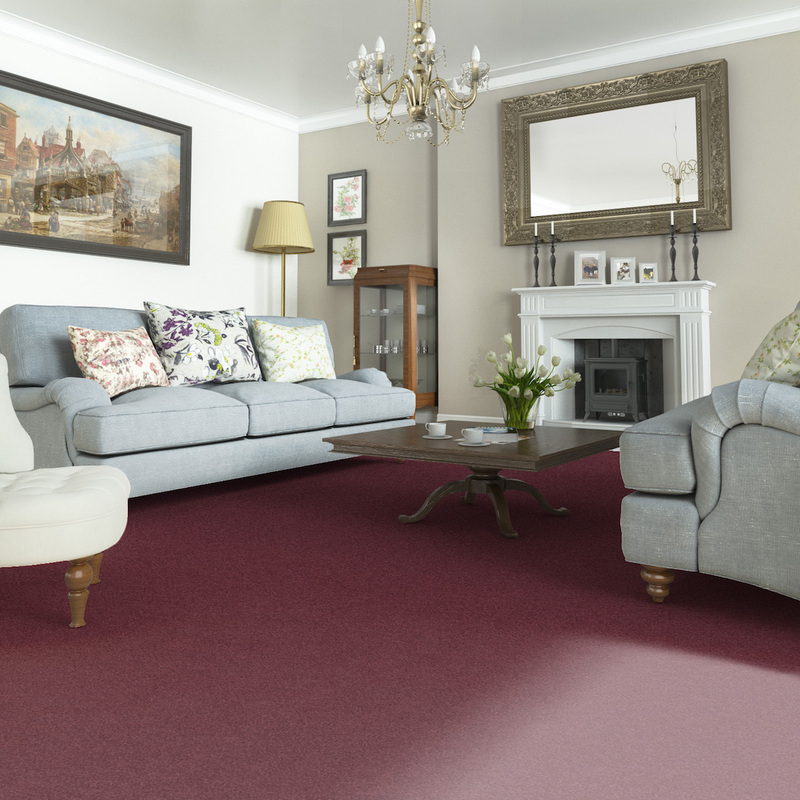 Showing: Axminster Carpets Devonia Plain coloured carpet in Berryburst, bringing a rich warmth to this Victorian-inspired lounge. If you want a quality carpet that guarantees luxury and will stand the test of time, and of course looks and feels fabulous in your home, we recommend Axminster Carpets. You can see samples of all the collections featured in this blog at our Knutsford carpet and flooring showroom. Alternatively, for a free survey and quotation for an Axminster carpet in your home, contact us today to get your new carpet for 2018.